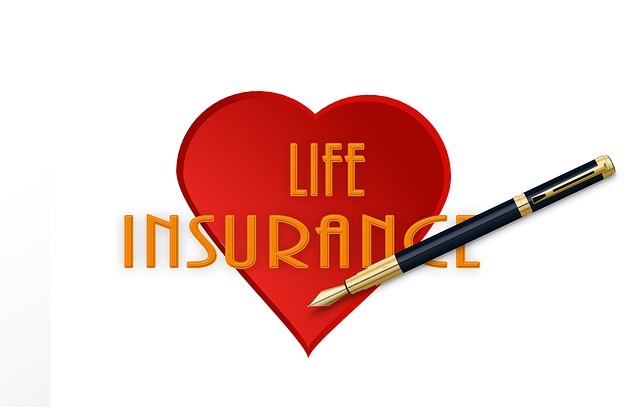 Just a few short years ago, I was staunchly opposed to whole life insurance, because that’s what I was taught by national “gurus” 25 years ago. I wholeheartedly believed (as many people still do) that if you need life insurance, you should buy a term policy, then take the difference in premiums between whole life and term and invest it in mutual funds. So when a good friend of mine sat me down and tried to show me a whole life insurance plan, I nearly refused to listen. Many of you reading this will feel the same way, and nothing I say will change your minds. That’s fine — you’re entitled to your opinion just as I was entitled to mine. Thankfully, my friend told me about “Investment Grade” life insurance. I soon realized that the gurus in my early years and the gurus of today were correct — based on the information they’d been given. The problem was their information was incomplete. Whenever I hear a financial consultant (or anyone, for that matter) talk about less expensive premiums for term, I know they really don’t understand how this animal of properly designed “Investment Grade” whole life insurance really works. 1. Principal protection guarantees of your money. Your cash value isn’t subject to market losses, as it is with mutual funds and other programs. When the stock market tanks again (and it’s never a question of if but when), you won’t lose a dime. 2. Guaranteed growth of your money every year. This will be interest-rate-driven based on the economy, but your account will move forward every year regardless of what the market does. This is compound tax-free growth and not the “average rate of return” you get with mutual funds. To be fair, in our current low-interest-rate environment, the growth rates are only in the 2 percent to 4 percent range but as you study further you start to realize the real wealth is not in the growth rate even when rates go higher. 3. Dividends paid to policy owners are not taxable. Dividends aren’t guaranteed, but many reputable life insurance companies have been in business for more than 100 years and they’ve paid out dividends every year. The amount of that dividend will depend on several factors, but it boils down to how much profit the insurance carrier made. When properly paid to the policy owner, those dividends are not taxable. 4. A high starting cash value amount, based on what you contribute to the policy. Whole life policies that aren’t properly designed will have very little cash value in the early years. 5. Access to your cash value at any age, at any time, for any reason — without taxes or penalty. This is a huge benefit of whole life policies compared to 401(k)s and IRAs, which impose multiple obstacles if you want to access your cash before retirement, and penalize you if the funds you borrow from them are not paid back by a certain time and at a certain interest rate. No such obstacles exist with a whole-life policy. So leave your cash in the policy if you wish, or borrow it back out and use it, the choice is yours. 7. Guaranteed insurance. Once the policy is in place, your insurance is guaranteed for the rest of your life. Many people assume they’ll be able to buy new insurance at any point in their life. But nothing is further from the truth — especially for those who’ve been diagnosed with chronic or terminal diseases. If you become seriously ill, don’t expect to be able to buy a new policy. With many whole-life policies, you can add an “accelerated death benefit rider” for little to no cost, which will give you access to a large portion of your death benefit during your lifetime if you have a terminal or chronic illness. I just had a colleague with a client who was diagnosed with Lou Gehrig’s disease, or ALS, and was sent a check from his insurer for more than 70 percent of the eventual death benefit. He’ll be able to enjoy his remaining time without worrying how he will pay his bills. 8. The ability to combine your life policy with the worlds of real estate, private lending and auto financing to accelerate your wealth, both inside and outside of the policy. Just remember that any funds inside the policy are tax-free for life. 9. Protection from long term care and chronic care expenses. Well written policies with the proper companies could provide the ability access a portion of your eventual death benefit during your lifetime to help pay for assisted living or long term care expenses. This will insulate and protect your other wealth so you don’t spend a lifetime building wealth only to give it all back before you pass away leaving nothing for your family. 10. Death benefit. In addition to all the benefits you can make use of while you’re still here, at heart, this investment is still a life insurance policy, so when you eventually die, there will be a sum of money left behind to your beneficiaries — tax-free. There’s a reason family dynasties, banks, and big corporations have been using life insurance for generations to grow and protect their wealth. Even when subject to estate limits, these death payouts go a long way toward promoting the tax-free, inter-generational transfer of wealth. Of course, insurance company policies and riders will vary by state due to state regulations and depending on the actual insurance carrier. But you won’t find another type of account or investment that has all these benefits in one investment — not 401(k)s, IRAs, mutual funds, stocks, bonds, precious metals, real estate, nor any other account. 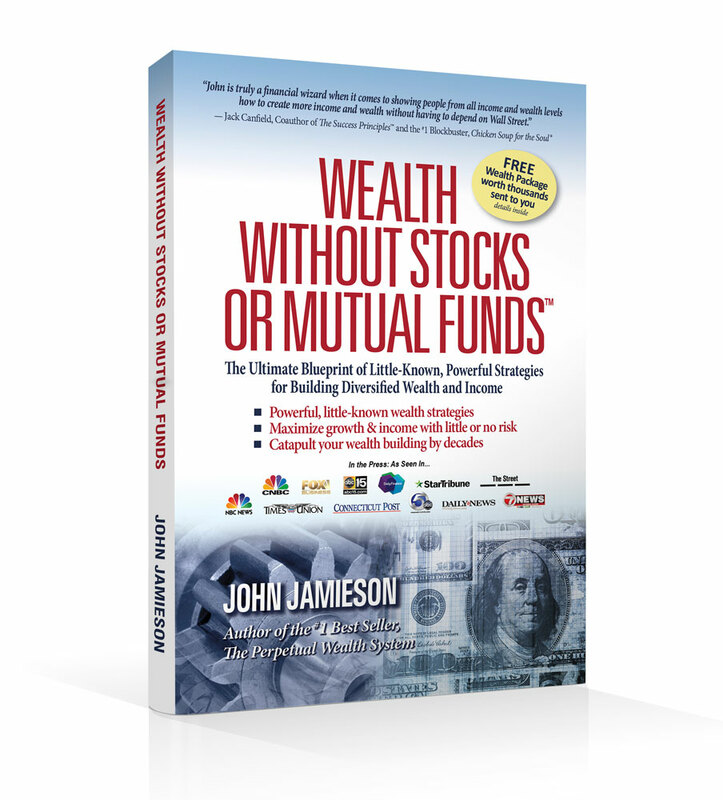 To engage with me further on this kind of policy, please email me directly at john@wealthwithoutstocks.com and visit our site at www.wealthwithoutstocks.com for many free videos, articles, archived interviews and more! Private Lending the Answer for You? Many of us first think of getting a bank loan when we want to buy a house, a car, vacation home or a boat; invest in real estate; launch a business; and finance a college education. But a bank is just one source of funds for these items. No law says when you need a loan that you have go to a bank. They key to a traditional bank loan is partly collateral but even more so income and credit scoring. On the other hand, the private lending world is built on collateral. Many private lenders might make more money if the loan recipient defaults. Let’s consider a hypothetical real estate investor. He has found a fixer-upper with great potential. It’s on the market for $75,000. With $30,000 in repairs, it can fetch $150,000, he believes. Banks don’t like to loan on fixer-uppers even if you personally qualify for the loan. If the bank makes the loan and secures it with a mortgage (or deed of trust, depending on the state), the borrower might pay 6 percent on the note and pay 1 discount point. The bank informs him that it makes no promises, and it will take 45 to 60 days to close — if it will close. This uncertainty puts the transaction at risk, so he needs another option. He approaches another investor, who loans her own money for such transactions, so she is very concerned about the collateral. She will make the loan based on terms where she would be happy if the borrower defaulted. The investor is buying the fixer-upper for $75,000 and is planning $30,000 on repairs, for a total into the property for $105,000 plus closing costs. He has $30,000 to make repairs but does not have the $75,000 to acquire this great deal. The private lender agrees to make the loan of $75,000 if the borrower will put his $30,000 into escrow and take three draws of $10,000 to make the repairs. If the investor flakes out after closing or defaults, the private lender has only loaned $75,000 and has the $30,000 cash needed to repair the home in escrow that she can use. All of these details are spelled out in a note and mortgage agreement drawn up by a good real estate attorney. What are the chances of the borrower not paying the private lender with $30,000 of cash in the deal plus the chance at another $30,000 net profit? The private lender will almost always be paid back per the terms of the agreement. The terms of this private loan are negotiable but must not conflict with state usury laws. Maybe the private lender charges 3 discount points and a 10 percent note rate. That’s more expensive money than the bank, but the deal gets done in just a few weeks as opposed to maybe never with the bank. 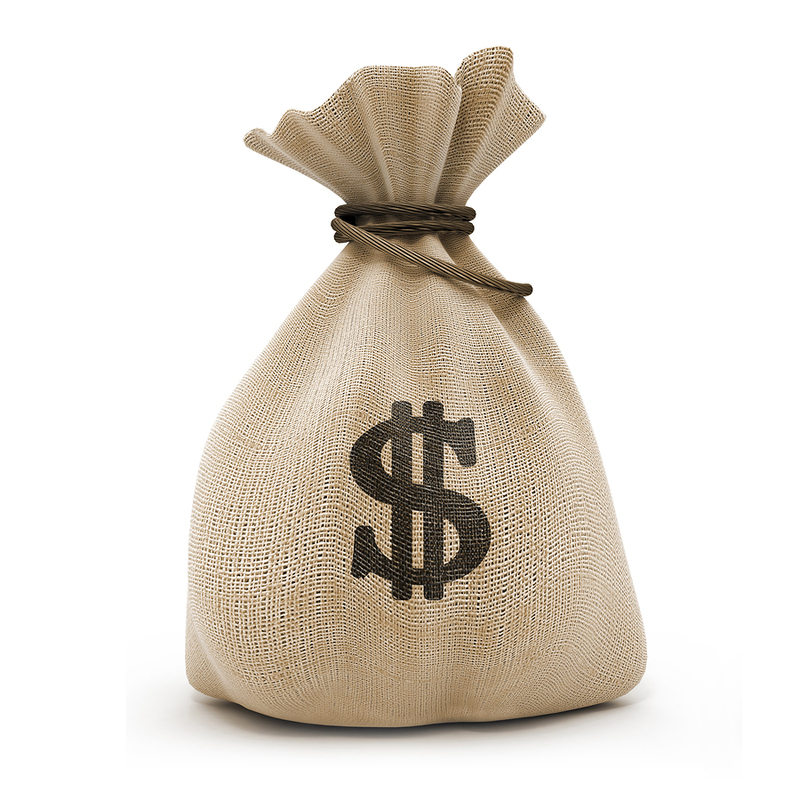 Sometimes the most important factor in making a good deal is not the cost of the money but the access to the money. Making private loans as the lender or obtaining loans as the borrower might be a great fit for your personal financial goals. But either end of the deal will require more education and a team of professionals to make sure these are safe, profitable deals for all involved.